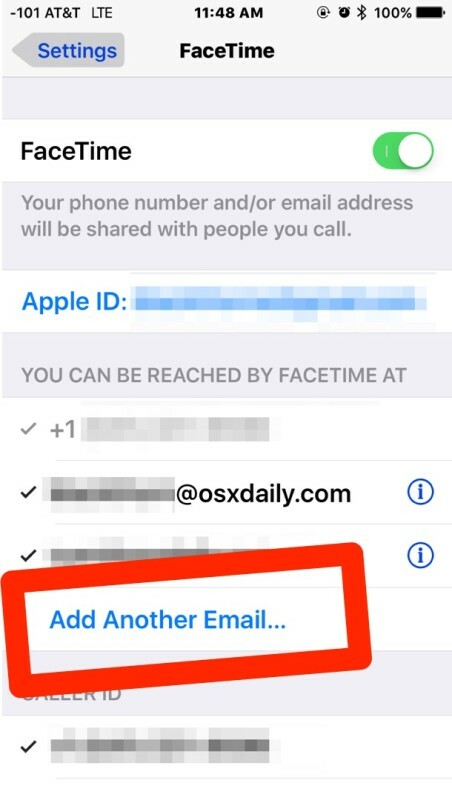 If you juggle multiple email addresses for various purposes on iPhone, iPad, or Mac, you may find it useful to add additional email addresses for FaceTime. This allows you to both call out from another email address, and perhaps more importantly, you can also receive inbound FaceTime calls for the newly added email address too. You can add emails to FaceTime from either iOS or OS X, by doing so it associates the new email address with an Apple ID and thus allows FaceTime audio and video for that address. You can seemingly add as many email addresses as you want to associate with FaceTime too, though it’s probably wise to stick with emails that you actually want to be reached at. Once the email address has been verified and associated with the Apple ID, you can make and receive FaceTime video and voice calls to that email address. Note that if you’re on the Mac and you remove a phone number, you’ll lose the ability to make phone calls from the Mac using an iPhone. If you’re removing the number to get the Mac to stop ringing with incoming iPhone calls, a better approach is offered here. Removing an email address from FaceTime is done through the same settings screens, in iOS it is a matter of tapping on (i) and choosing “Remove Email”, whereas on the Mac you can uncheck the box alongside the email address in Preferences. This has many uses, whether for adding additional personal email addresses to Facetime, or perhaps to add a public email address so that other people can start a Facetime with you from the web using this URL trick. I recommend adding email addresses as appropriate, and removing them as appropriate too! Funny story about this FaceTime thing, so I added another email address to FaceTime a long time ago for work, my work email or whatever to my work iPad. Never thought twice about it, then left that job and started work at another company, forgot to remove the old email, right? So one day I get a FaceTime call out of the blue from a contact I didn’t recognize, and I answer it… and it’s some new guys wife! LOL! The new guy had the same iPad with the same email address, and he did the same thing I guess by adding it to his work iPhone or whatever, the ID was a generic like “roamingipad12@work.com”. So we just thought that was funny and laughed it off. Then a few days later, I get another FaceTime call…. I answer it in my pajamas from the couch doing WORK FROM HOME that day, and it’s my old conference room full of 12 people trying to talk to the new guy over FaceTime! LOL! Hey old friends, remember me, we worked together for a few years!? Well now I’m in the middle of your meeting on your 10′ projector! It was funny, we all got a good laugh. The lesson here is not to mingle your personal and work email addresses on your personal hardware, and if you do, don’t forget to delete the old work email addresses otherwise you may end up getting talks from all sorts of people! This button or link is no longer available. 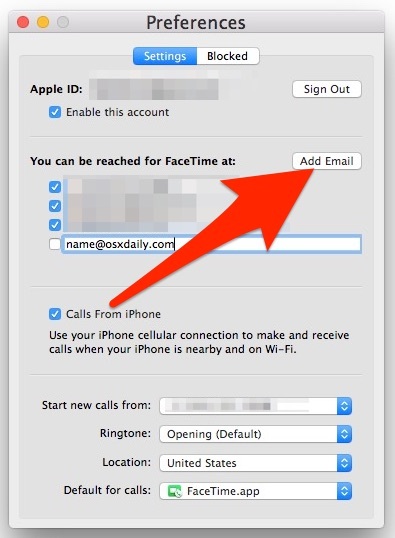 How can I add another email address to my FaceTime? Go to Settings > FaceTime > you can add new contact address for yourself there, like an email address linked to an Apple ID or a phone number. You can also add by Apple ID.